Living in a strata scheme comes with its own set of challenges, and rules to follow. Each strata scheme will have its own by-laws which are designed to regulate the behaviour and conduct of dwelling occupiers and visitors. Owners’ corporations have access to model laws which act as a reference to use when setting or reviewing strata scheme by-laws. When it comes to strata schemes, smoking can be a bit of a tricky issue. Model by-laws have generally not been in favour of blanket laws that prohibit residents from smoking on their own lots, including on private balconies. At the same time, by-laws indicate that the activities of residents should not constitute a hazard for other residents. 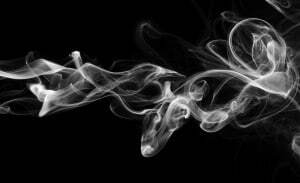 Examples of smoke being a nuisance or hazard for others include the effects of passive smoking from smoke drift. This means that if you smoke in your own apartment or balcony and your smoke drifts towards another resident’s balcony or unit, your actions may be considered a nuisance. Another issue is that of the difficulty of controlling smoke even from within an apartment, and the resultant smoke ‘seep’ – where smoke escapes through vents and other small spaces, invading other parts of the building. In this case, multiple units or apartments in the building can be affected by smoke, even if they are not in close proximity to the smoker’s dwelling. How much of an issue is it? Smoke drift and seep can be particularly hazardous for vulnerable people, such as asthmatics, the frail elderly, people with heart and lung conditions, pregnant women, and children. In addition, according to the Cancer Council NSW, surveys show that most Australians support smoke-free environments, such as in workplaces, shopping centres and public spaces. Most also show a preference for smoke-free homes, with over 90% of people already living in households that are smoke-free. How smoking can result in fines? In cases where residents in a strata scheme lodge complaints about a neighbour’s smoke, the owners corporation, through their strata manager can already enforce a ‘notice to comply’ with a request to cease smoking. With smoke being so hard to control, residents who continue to smoke on their balconies (or within their apartments) after complaints have been made risk receiving fines from the Tribunal. How will the new laws change things? So while there are no blanket laws banning smoking on apartment balconies, if you do so, you risk causing a hazard for other residents and attracting a ban on smoking or a fine for non-compliance. Smokers living in strata title properties may have to seriously consider quitting, or finding other outdoor areas to smoke away from common property and other apartments.